When you think of fast food, what do you think of? Most of us think of burgers and fries. But who invented the first hamburger? How did it become so popular? Hamburgers probably came from several sources but they’re definitely an American invention. John Montagu, Fourth Earl of Sandwich, was a gambler living in England in the 1700s. He placed his meat between two slices of bread so he could eat and continue playing cards. He is thought to be the inventor of the sandwich. German immigrants brought their Hamburg beef to America. Hamburg beef was meat that had been chopped very finely. It was cooked on the outside, but left quite raw on the inside. Italian and Irish immigrants brought Salisbury steak, another type of chopped beef that was cooked all the way through. 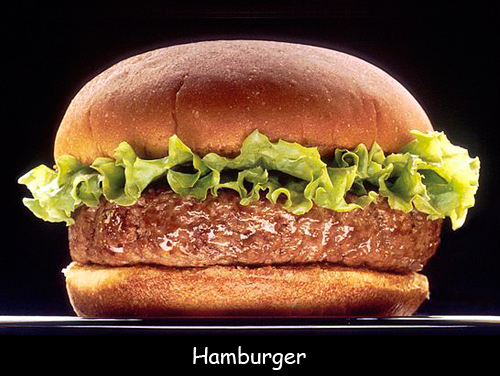 The hamburger made its first recorded appearance at the Louisiana Purchase Exhibition in St. Louis, Missouri, in 1904. During the 18th and early 19th centuries, Americans tended to eat what their ancestors ate. People who had emigrated from Germany ate traditional German meals; the Irish ate Irish fare. Mealtime was an important event each day – a time when families gathered, talked, and reconnected. During the 1940s and after World War II ended, the culture was changing. Young people spent less time with their families and more time with their friends. They wanted fun, different, interesting food. They spent their money on restaurant food and sodas. Richard and Maurice McDonald saw an opportunity here. In 1948, they opened the first McDonald’s in San Bernardino, California. In 1955, Ray Kroc opened the first McDonald’s franchise in Des Moines, Iowa. The company soon grew with franchises springing up across the United States and then throughout the world. McDonald’s built its success on a few principles: fast, friendly service and a consistent product. A McDonald’s hamburger tasted and looked the same, no matter where you bought it. Slick advertising and endorsements from Hollywood entertainers and popular sports figures helped. In 2014, there were almost 37,000 McDonald’s restaurants operating in 120 countries. The restaurants serve 68 million customers every day. Franchise: when a company allows someone to buy and operate a business using the company name and products. Question: Is McDonald’s still the most popular fast food restaurant in the U.S.? Answer: Amazingly, yes! According to Business Insider, the top fast food restaurants in 2015 were McDonald’s, followed by Starbucks, Subway, Burger King, and Wendy’s. Healthier options, such as Panera and Chipotle are gaining ground. Visit Wonderopolis to learn more about the invention of fast food. Declan, Tobin. " Fun Hamburger Facts for Kids ." Easy Science for Kids, Apr 2019. Web. 18 Apr 2019. < https://easyscienceforkids.com/hamburger/ >.